Some whiskies have absolutely blown me away when I’ve first tried them. Often, the most exciting drams I have ever tried I’ve been unsure if I liked when they first passed my lips. Some whiskies are challenging and different and interesting. But not all of them. I begin this review as if a whisky that were to lack one or all of these qualities is in some way an inferior drink. However, when the Glenlivet 12 Year Old is concerned, this is just not the case. Rarely have I found a distillery as reliable as Glenlivet. Nor, where its signature expression is concerned, one as good value. But the 12 Year Old is as dependable a dram as you will find in Scotland. It is the perfect just-got-home-from-work whisky. It offers sweet oak notes on the nose, leaving you in no doubt you have a malt from Speyside. On the palate it provides an initial hit of honey and some heather before developing into glorious burnt caramel, brown sugar and just a hint of smoke. This makes way for a long vanilla-centric finish that leans towards creaming soda. It all adds up to create a distinctive and memorable, if not perfectly balanced, flavour. Glenlivet have not produced a world changing whisky here. But that was not what they set out to do. In their 12 Year Old, they have created a dependable whisky, one that you can turn to time and time again without fear of emptying the bottle. Because if it were to run out you would, without hesitation, nip to the bottle shop for a replacement. Since writing this review the whisky landscape has changed and sadly not for the better. My review’s final claim that when my bottle runs dry I can simply nip to my local store for another no longer rings true. Tonight I downed the last of my trusty Glenlivet 12. It’s been a fun journey, but as they say, all good things must come to an end. 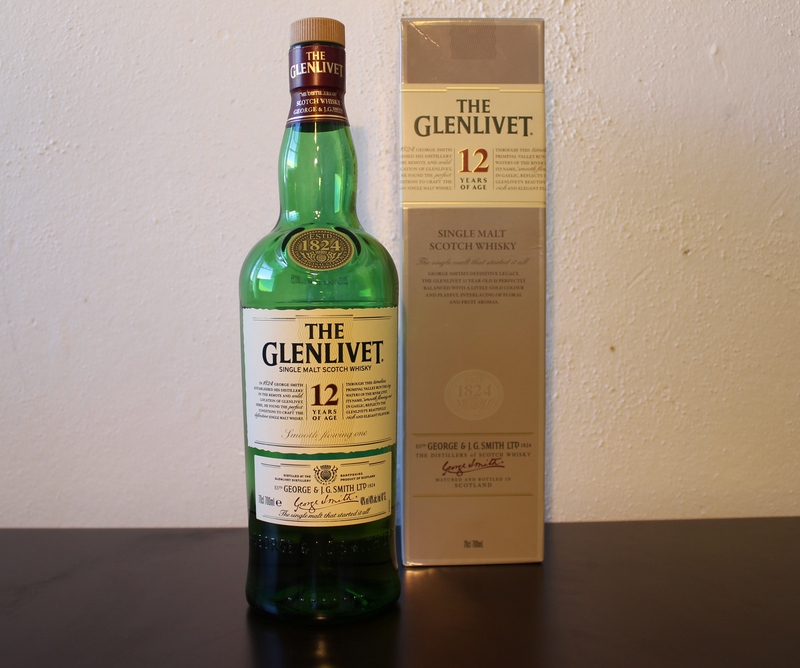 Glenlivet 12 – it has been a pleasure having you as my go-to. You will not be forgotten.